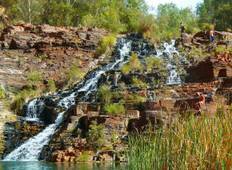 Find a Adventure trip that explores Karijini National Park. There are 18 tours to choose from, that range in length from 4 days up to 23 days. The most popular month for these tours is September, which has the most tour departures. "Amazing tour from Perth to Broome, western australia with Ana"
"The trip was great and Anna is a fantastic tour guide! 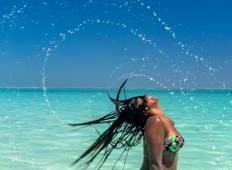 She is active, friendly, funny..."
"Had an amazing time with West Coast Cruiser. Perfect way to see the west coast and..."
"I loved this tour, our group and Simmo the guide was great!! Although the price is..."
"I did the 3 week overland from Perth to Darwin and overall the experience was amazing...."
"My husband and I have just done a 10 day tour from Perth to Broome WA. It was better..."
"Car and trailer were dirty from the very beginning. Trailer was very bad and very..."